Odongoo is a 11-year-old girl who has 4 brothers and sisters. Her family has received the family assistances through TFCF Mongolia branch service since 2014. As a nomadic herder family, they had low incomes and lived in remote rural areas. Their life became harder after her father suffered a sudden and massive stroke in 2014. “We lived in an old and shabby Mongolia ger until last year. My mom said that our ger was too cold to stay and we were unable to repair my childhood home. Then, we had to move to our relative's house. However, most of us were getting sick because the house was pretty old and crowded with too many people. In the beginning of this year, my mom told me that TFCF was going to help purchase a new ger for my family soon. It was all so exciting and it was just so difficult to wait. Finally, they made it! We moved into our new home before Tsagaan Sar (Mongolian Lunar New Year) and enjoyed our new year with my family. Actually, we all are healthier and happier than before. ** Odongoo is the fake name due to the privacy and safety of individuals is respected. Mongolians traditionally celebrate Tsagaan Sar, the new years feast. We tried very hard to find the resources and deliver the new Ger to Odongoo’s family before the early of February. We were so happy to see their lives changed. In 2018, all of needy families face economic difficulties more than before when Mongolia CPI keeps increasing yearly. We have to be more careful to evaluate the needs and situations of family assistance, and ensure we can have the right priority to serve the most disadvantaged children and families. 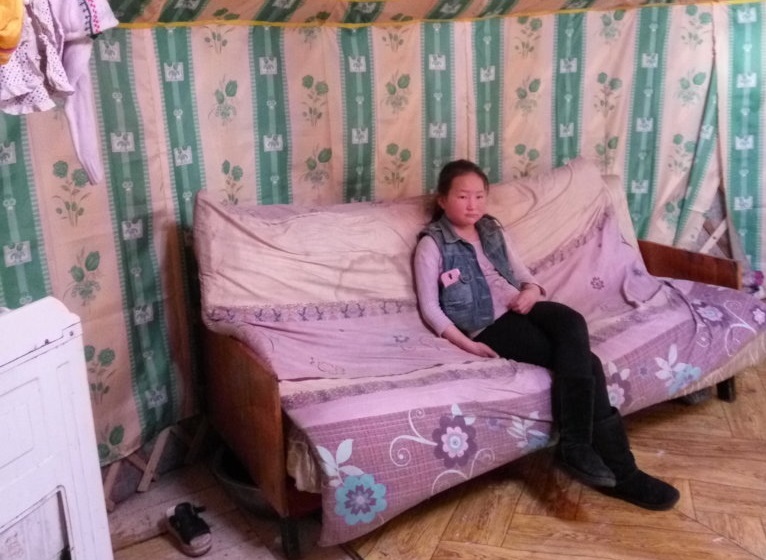 We are looking forward to receiving more resources and donations from people and hope you could stay with us and help more Mongolian children to improve their lives with a new and warm home.